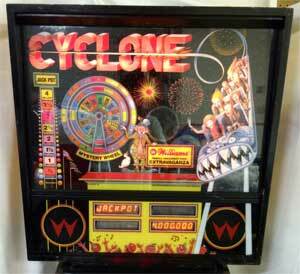 Check out these Cyclone Pinball Machines for sale. You will also find parts and accessories for current owners including the plastic clown promos, mystery wheel, comet ramp, rubber ring kits, decals, manuals, translites, flyers, sling shots, and ramps. 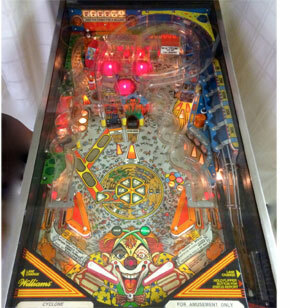 From the most powerful force in the pinball universe. Feel it and be awed!